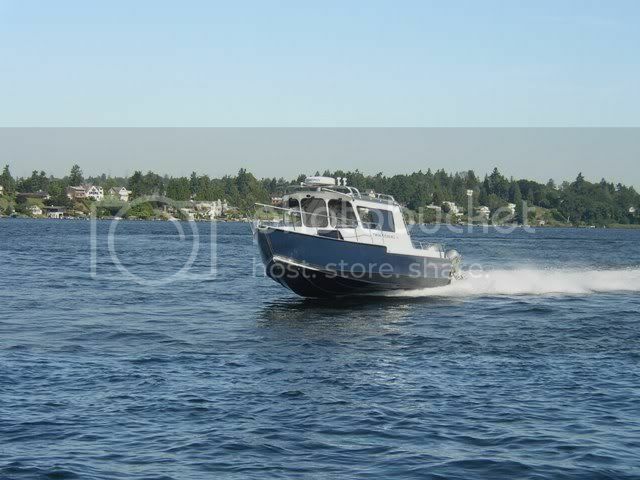 Here are a few pics of a 26' WB Deep Water Pilot -- similar to what kaisersosei is getting. 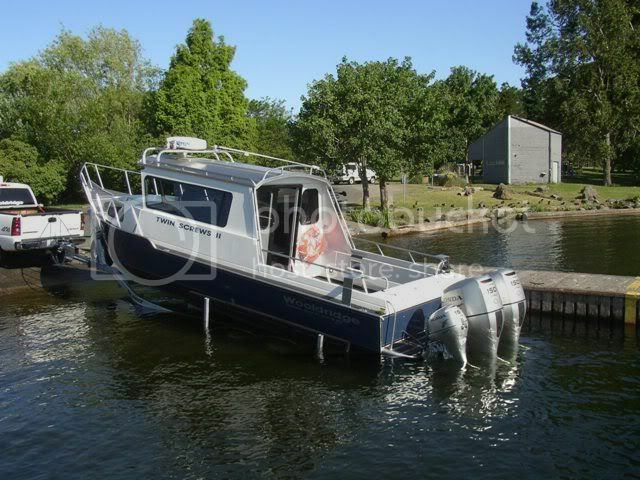 This boat was set up for day trips -- no sink or stove, 2 truck seats with 4 foot bench seats that make into a bed. It still has the cuddy upfront that you can sleep in, with storage under the cushions. They do make a bulkhead that goes infront of the passenger seat, but this owner did not want it. One of the best things about Wooldridge is they will customize your boat to your specifications. Since they don't have them on their website, the pictures are hard to come by. 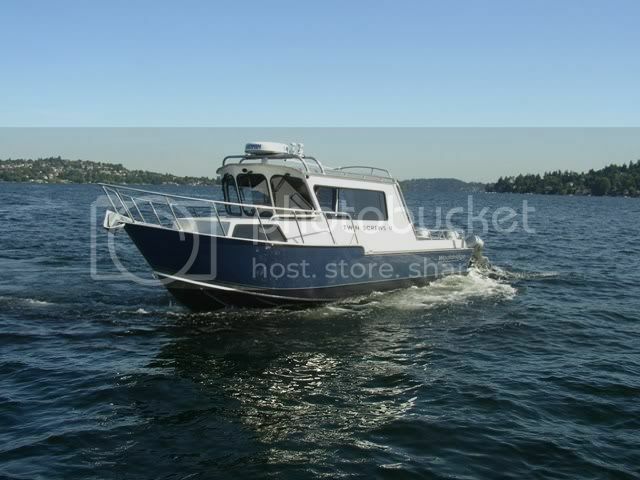 I do have the Twin Screw pictures and the boat sure looks nice. It really is the same one except for some of the options that I added. I think it will be a sweet boat when I get it but I keep thinking of new stuff to add to the thing. I swear their phone must have a ring like a cash register every time I call. 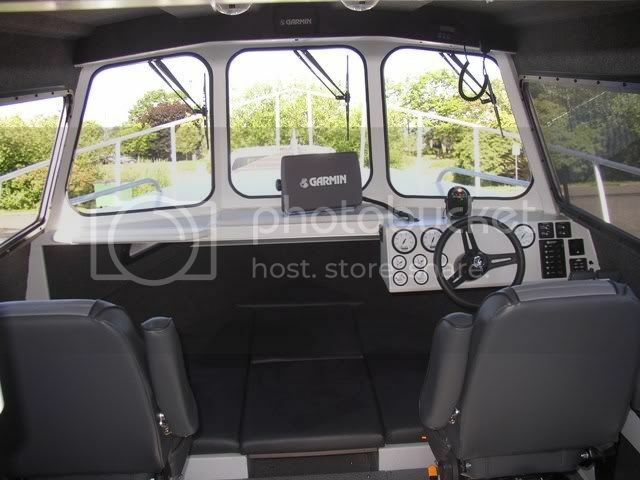 Since the buying decision I have added the 175 motors, 18 inch cabin extension, crab pot davit, 24"x72" bench seat behind the port side suspension seat, DVD/CD player with 17 inch "flip-down" LCD screen, auto pilot and 4kw Radar with the C-80 Raymarine system. Ka-ching, ka-ching, oh well no Christmas or birthday gift for about the next 20 years for me I guess...but well worth it...I think...kind of a bummer when you keep looking because you keep running into other options...like a 2002 24 foot Sea Sport Explorer with 170 hrs with ALL the options for about $40,000 less money...I guess I have to just stop looking.